Yesterday was our local marathon. 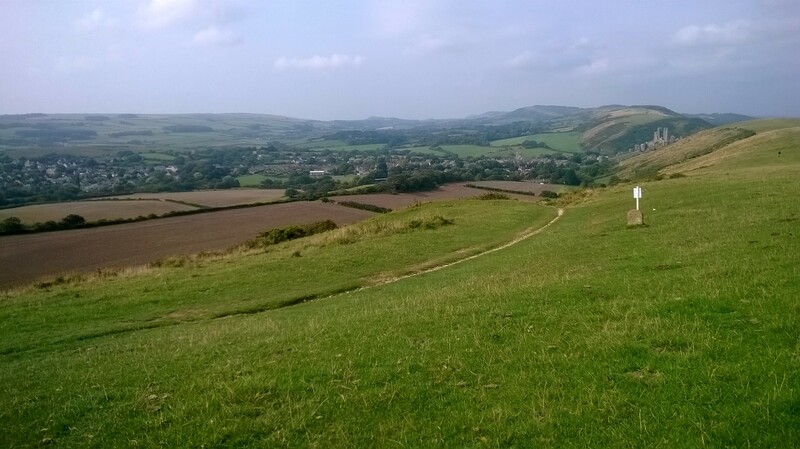 Its a new marathon, the brainchild of some friends from the Running Club and is a brutal hilly trail race taking in some of the most amazing countryside and views you will ever see. It has been really well received by the running community and won a national running magazine’s award as the country’s best marathon. Even after my experience yesterday which was so inspiring and motivating, I’m not convinced I would ever do the race but marshalling was a brilliant alternative to experience it and one I would happily repeat. 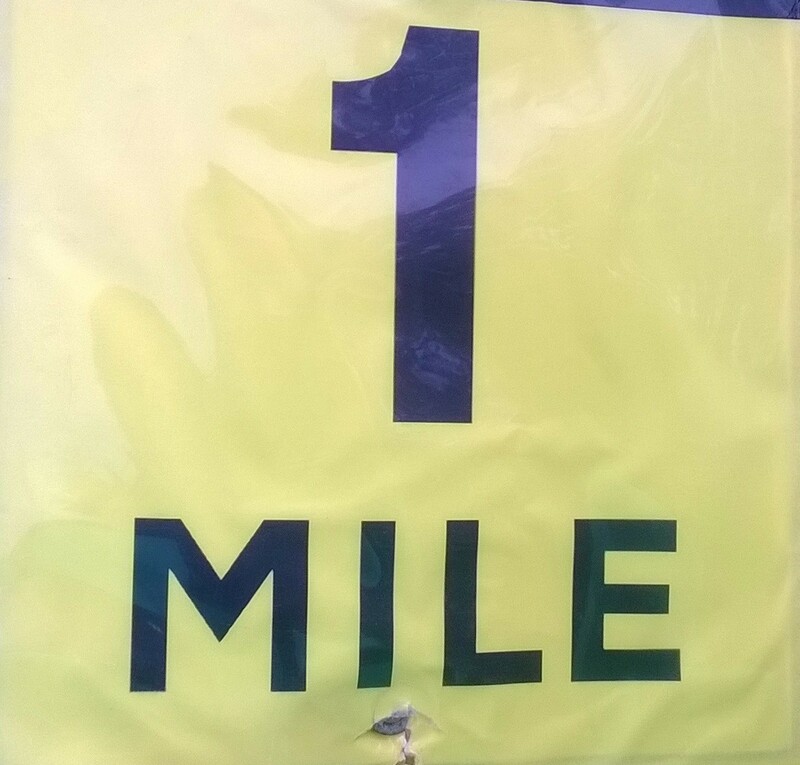 My day began at mile 1 and was a nice and easy introduction to the race, I just shouted a few cheery good mornings, pointed to the correct direction and spotted friends running. 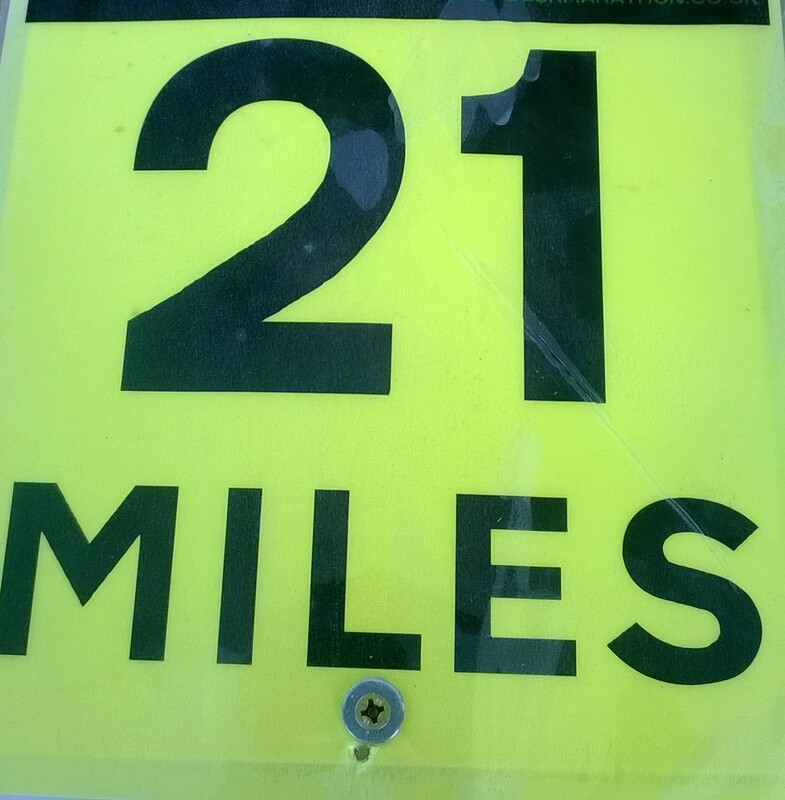 As it was so early in the race, my duty was over in 10 minutes, so off to the next location between 21 and 22 miles. This was where the real work took place as I was running the water station at the top of a hilly trail. It was so remote that I had to be driven there in a 4×4 support vehicle and was in contact with a radio borrowed from the police, I loved my look, high viz vest and radio, I looked the part. By mile 21 the field had certainly spread and I think there was around 3.5 hours between the leaders and sweepers. The race attracts a mix of athletes, it was a privilege to see one of this Summer’s marathon stars as one of the two front runners whilst I loved encouraging and jogging along with some of the lone runners. I was also very vocal cheering all runners through my station, anything to raise a smile after a really tough hill. I was lucky to be stationed at one of the most beautiful parts of the race, many runners did take the time to look round and take in the natural beauty of the area. Whilst the marshalling took longer than doing the race would have, it was wonderful to give something back to the running community. I have done many races before, listened to the cheerful encouragement, received smiles and I hope that my performance as a marshal helped the runners to enjoy their marathon. The marathon is a community event and shows that even in a small town like ours with inspiration, enthusiasm and hard work you can do something amazing.